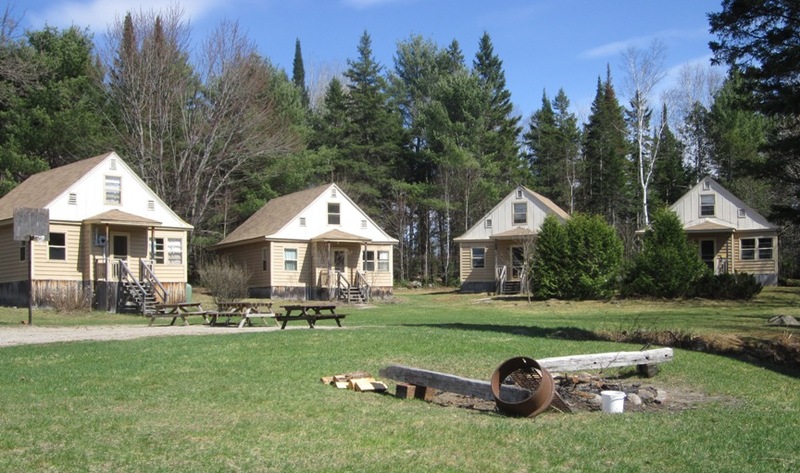 The Deep River Karate Club is planning to host a weekend karate retreat in the outskirts of Deep River at Ogilvie's Cabins on Meilleurs Road (see Google Street View . Registered participants please see these notes. Want to improve your karate skills and understanding? Is your dojo based a school gym and you want to keep sharp in the off-season ? Come to Deep River for a weekend karate retreat with instruction provided by Tsumura Shihan, Tsumura Sensei and others. The retreat will provide many karate sessions covering a variety of subjects interlaced with social activities and free time. The setting is the Ogilvie Cabins on Meilleurs Road (see Google Street View). 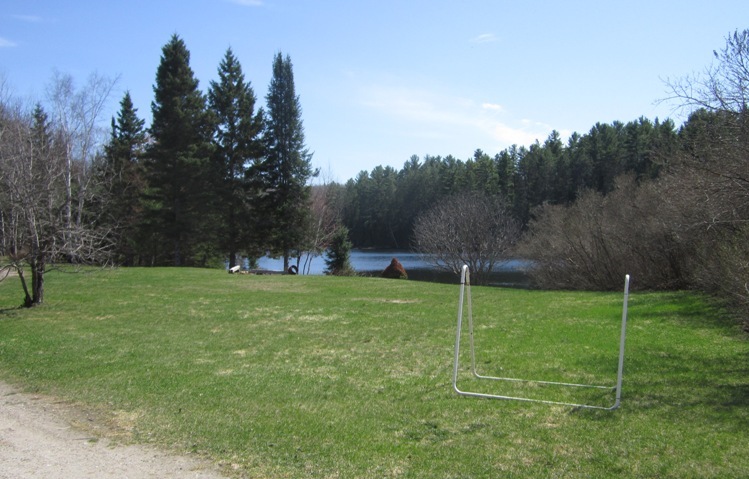 Located near the eastern edge of Algonquin Park and a short trip to the Ottawa River. Cabin rooms will be available for the nights of Friday and Saturday. There is a common building with a large kitchen, several BBQs and dining hall so that you can cook your own meals. The property has a small lake suitable for leisurely kayaking, canoeing, and fishing; volleyball nets; and a lakeside fire pit provides a relaxing focal point. Karate sessions will be held outdoors, though the dining hall will be available as a small dojo in case of inclement weather. The retreat is open to all students; separate sessions will be held for black belts. Family members that are not in karate may also stay at the cottages. Karate students not requiring accommodation at the cottages can pay a retreat-only fee. The planned schedule is now posted. Since this is the first time for this event, we may have to adjust as we go. You should take a look, there's been some interesting changes: Shihan--who holds the highest rank in Kobudo outside of Japan--will teach weapons along with Fred Donnelly Sensei. Weather permitting, the final class will be on the beach; a grand Japanese tradition. The schedule follows this general plan. Following is the estimated fee schedule. The goal is to be reasonably priced but ensure expenses are fully covered, so these estimated fees are subject to minor change. The results of the survey below will provide some cost guidance based attendance and activities. * Accommodations for Children 12 and under are $15 less and must be accompanied by an adult. To aid in planning the event and generate interest, a survey was been created. The primary result of the survey was that the top four selected activities are: Kata; Kumite & kumite drills; Kata bunkai and self defense. This one-page flyer contains the same information as this web page. To register for the retreat, please complete the registration form and send to Ron Rogge sensei as instructed on the form. Registration deadline is 2015 July 25. Full refund can be requested by e-mail until 2015 August 1. Upon arrival, karate participants or guardian shall also complete and sign a waiver form to be provided at the retreat. Therefore, the guardian must be present at registration for the under 18 participant. For more photos of the venue see this gallery (Warning, will automatically load 7.5 MB of photographs). Photos of the cottage interiors (examples from the group of 4). As you will see, these cottages and cabins are rustic. They are used for 6 weeks of the summer to house the students and tutors of the Deep River Science Academy which provide high school students with an outstanding real scientific research experience at the Canadian Nuclear Laboratories. For anyone that would prefer different accommodations, there are several choices in the area. No special pricing or blocks of rooms have been arranged for these other venues, so act early if any of these is your preference. Hotels include: The Bear's Den (613-584-9795), Shemron Suites (613-584-1100), Deep River Motel (613-584-2743), and The Pine Motel (613-584-3381). 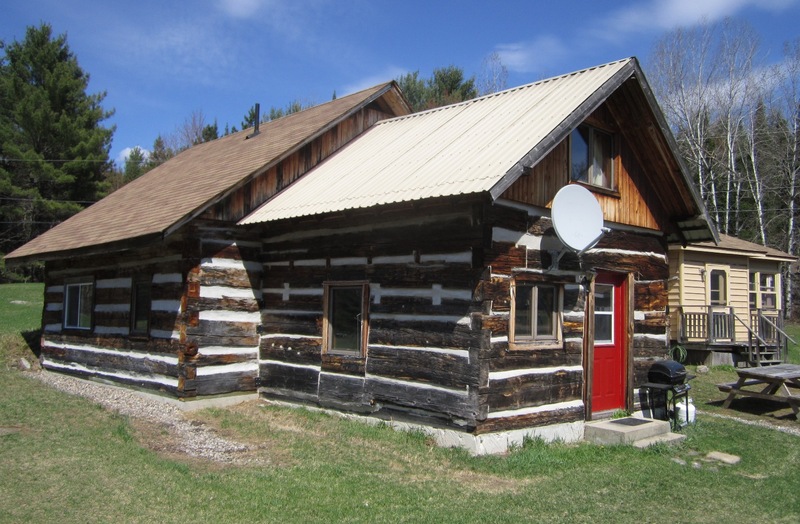 Other cottages include: K-O's Mountain River (613-584-2861) and Pinecrest Lodge (1-866-746-3273). Bed and Breakfast: Casa de Timoteo (613-584-3776). Camping: Morning Mist Resort (613-586-1900), Driftwood Provincial Park (613-586-2553) and Ryan's Camp Site (613-584-3453).